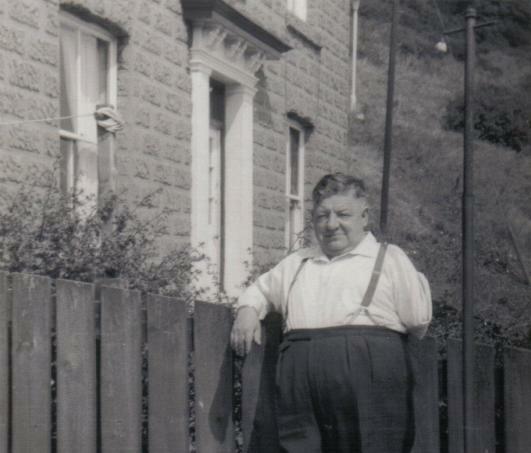 The following article is based upon the history of the Hodds family - a local Scarborough fishing and seafaring family. The oldest member of which was Joshia Hodds. 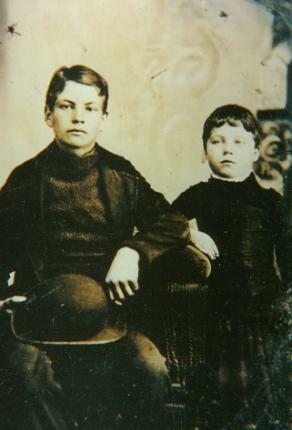 He had two sons - Horace and Walter Hodds. 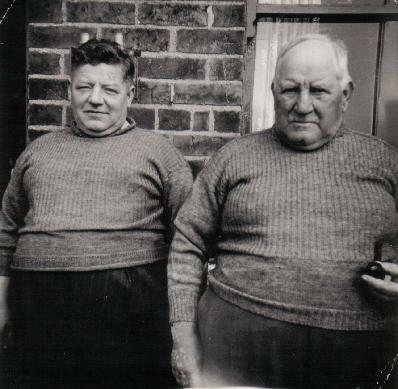 Both of these sons were skippers of trawlers. 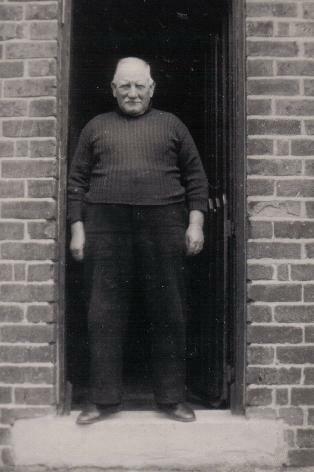 Walter Hodds was twice a skipper of a trawler captured by the Germans. 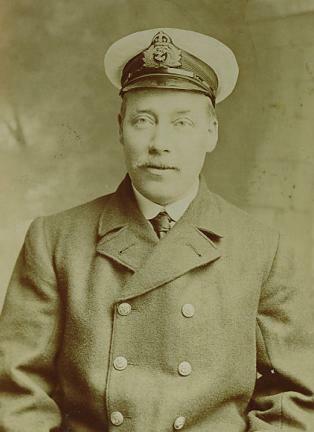 On the night of 25th September 1916, he was skipper of the Marguerite, which was trawling with the rest of the Scarborough fleet. Some Germans were sent aboard the Fisher Prince who informed various trawlers that if they did not surrender they would be sunk. The very word U-Boat sent the fear of God into the fishermen and soon eleven Scarborough trawlers were taken and sunk. 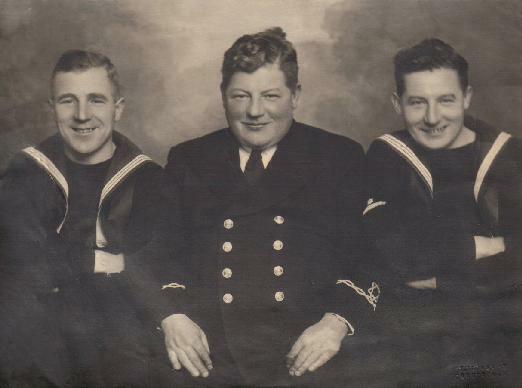 The crews were treated well and at one stage the U-Boat commander apologised to the skipper of the Seal. 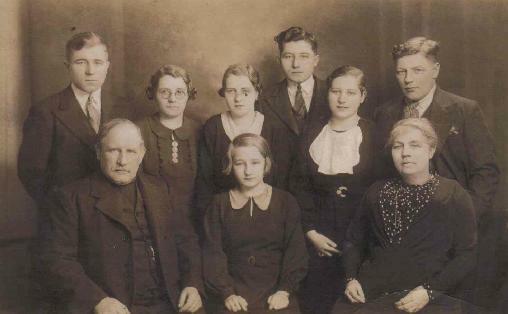 Walter Hodds was put on board the Norwegian ship SS Tromp. 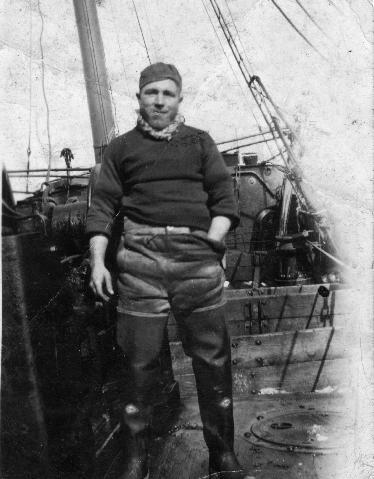 Walter Hodds was skipper of another captured steam trawler in February, 1917. His brother Horace Hodds was the mate. This time he was not so lucky. The commander of the U-Boat set the men adrift in their little lifeboat with not much in the way of food and water. They were adrift for over six days. They were in a bad way, suffering from frostbite as well as hunger and thirst in the northern sea around Aberdeen in the middle of the coldest month of the year. It was said that only a packet of Woodbines, picked up by crew member Micky Scales kept up the morale when they thought they were not going to be found. The crew were eventually found. There was a great deal of hope for the their quick recovery. Walter Hodds was rescued but unfortunately he died a few weeks later. The trauma must have had an effect on him. Horace Hodds survived well. Punch Eade was also on board. Punch never spoke of the time he was cast adrift. 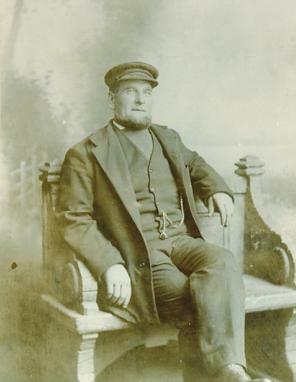 Picture above : Walter Hodds - survivor of the Lord Collingwood. But he died just weeks after. The trauma of 6 days adrift obviously took a toll. Perhaps one of the famous Hodds was born a Matson - Evelyn Maud Hodds (nee Matson). 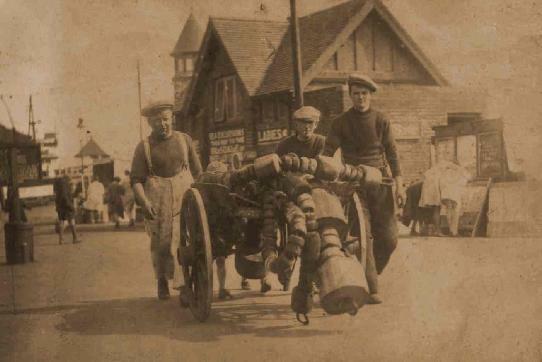 The story surrounding her uncle Daniel Reeder led to the establishment of the Fishermens and Firemans football match. A fishing smack was named after little Evelyn Maud. In November 1993 the whole of the Scarborough was at sea during a terrible storm. All the vessels eventually came home bar one - the 'Evelyn Maud'. This was run down by the Ardross, a sailing ship, during a huge storm. Eventually some wreckage was found near Easington. A lifebuoy was found with the words "Ship going down. Sinking fast Evelyn and Maud". Mrs Thomas Mann stated that this was the handwriting of her husband. 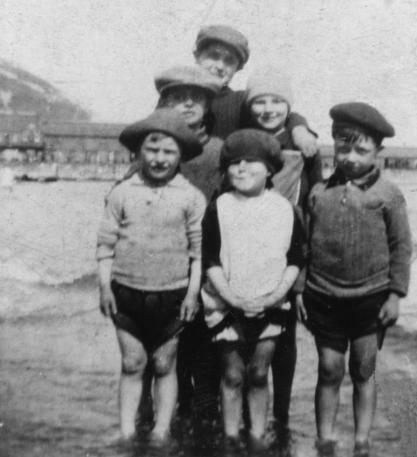 Mrs Mann was now a widow with seven children. To help raise funds for her and the others lost a fund raising football match was held on Christmas Day. This was played between the fishermen of the steam trawlers who played the engineers and firemen of the steam trawlers. The match has been played every year since and is now played on the South Bay beach every Boxing Day. 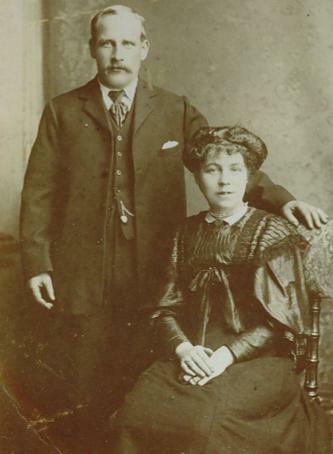 Picture above : Evelyn Maud Matson and her uncle Daniel Reeder. Daniel died on the Evelyn Maud which was named after his niece. Evelyn Maud went on to marry Horace Hodds. Photo Above - The kids of Overton Terrace of the Hodd and Scales families who occupied at least four of the houses in the terrace. 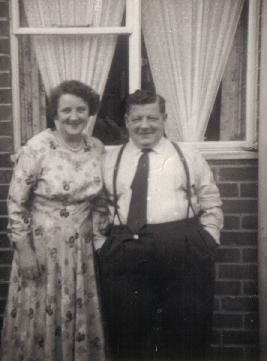 Photograph Above - Horace Hodds jnr was to loose the lower part of his left arm when the heavy seas breaking on deck of a trawler forced him onto the warp and amputated the limb.